Invoicing with emphasis on ease of data entry. Is there a better alternative to Minvoice? Is Minvoice really the best app in Applications category? Will Minvoice work good on macOS 10.13.4? Minvoice is a minimal, one-step-above-paper invoicing app (with a few improvements). Designed for quick startup and ease of entry. 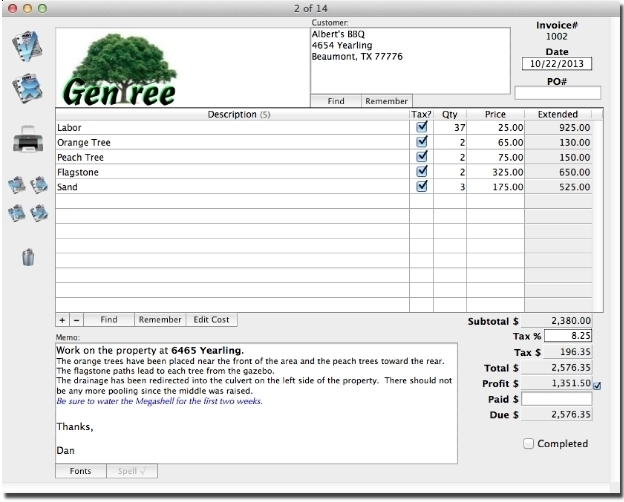 Calling for an invoice in use by a window brings the window forward. Added a page number on longer invoice printouts. Subtotals buttons added in the invoice and invoice line item list windows. Minvoice needs a review. Be the first to review this app and get the discussion started! Minvoice needs a rating. Be the first to rate this app and get the discussion started! Free to use with all features enabled to manage invoices created in the last 30 days. Activate to remove the 30 day limit.